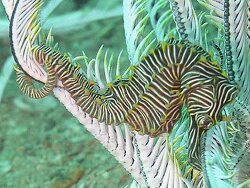 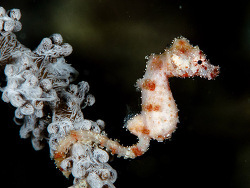 One of the most magnificent and most remarkable organisms of the seas are the seahorses, found in shallow tropical and temperate waters throughout the world. 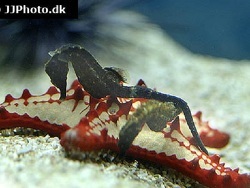 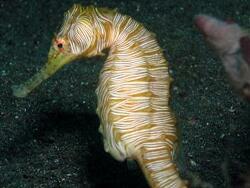 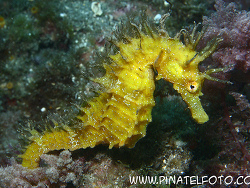 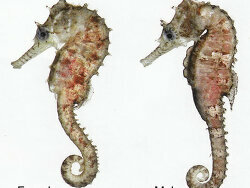 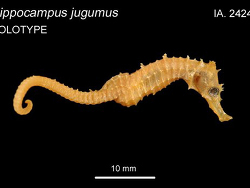 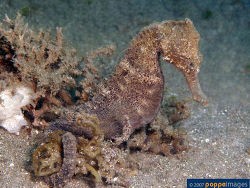 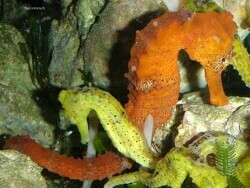 All seahorses belong to the family „Syngnathidae“ and the genus „Hippocampus“. 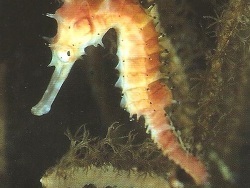 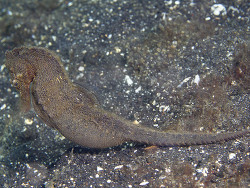 The various species range in size from about 5 to 36 cm in length. 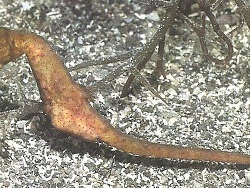 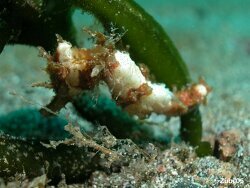 Other fish in the family Syngnathidae include pipefishes, pipehorses, and sea dragons. 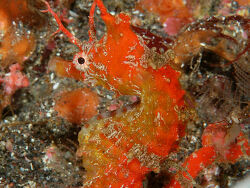 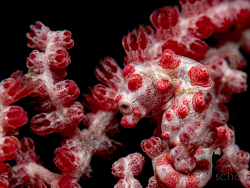 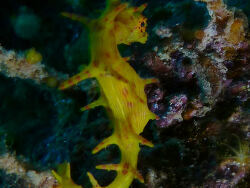 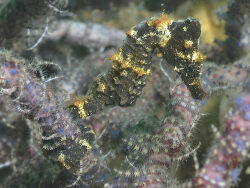 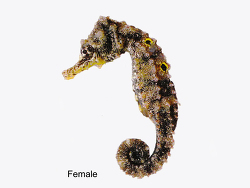 Currently we know 35 different species of seahorses, but only a few of them are to find in the trade. 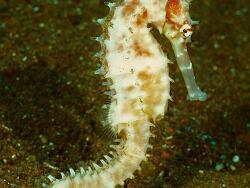 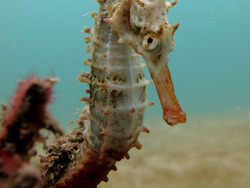 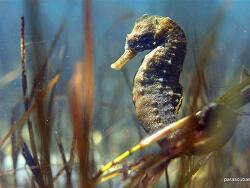 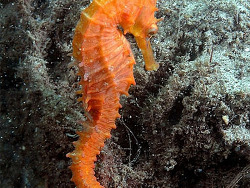 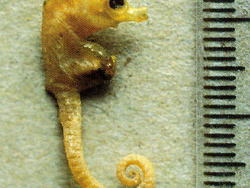 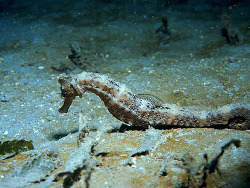 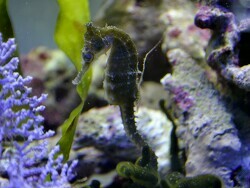 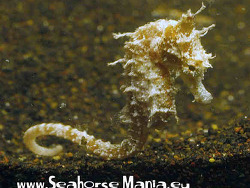 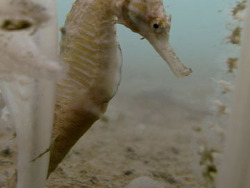 Seahorses are rather inept swimmers and can easily die of exhaustion when caught in stormy seas. 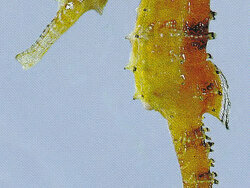 They propel themselves by using a small fin on their back that flutters up to 35 times per second. 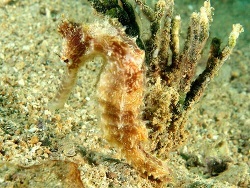 Even smaller pectoral fins located near the back of the head are used for steering. 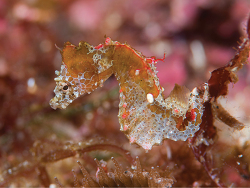 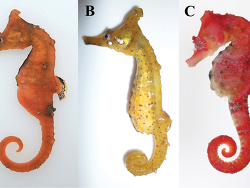 Seahorses are capable of rapid color transformations to blend with their surroundings. 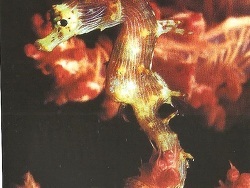 They have no teeth and no stomach. 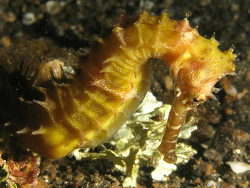 Food passes through their digestive systems so quickly, they must eat almost constantly to stay alive. 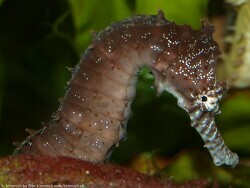 Voracious eaters, they graze continually and can consume 3,000 or more brine shrimp per day. 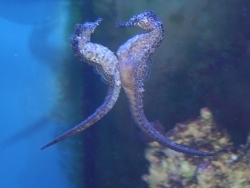 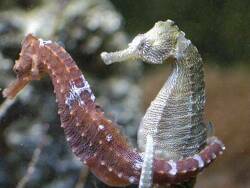 Seahorses are monogamous and during the mating period they engage in a lengthy courtship. 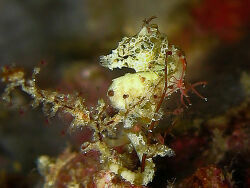 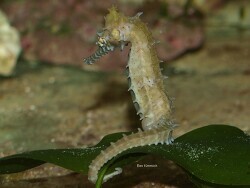 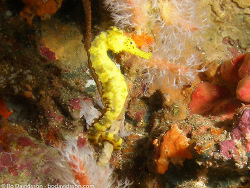 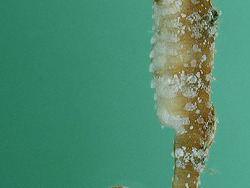 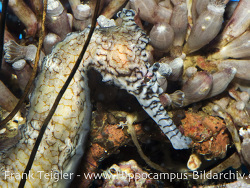 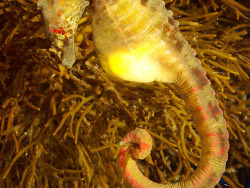 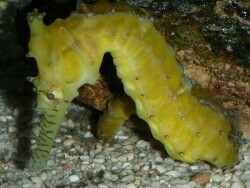 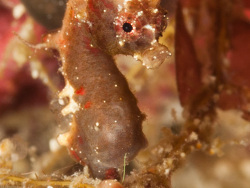 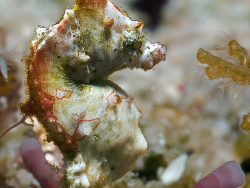 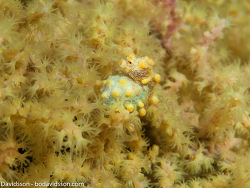 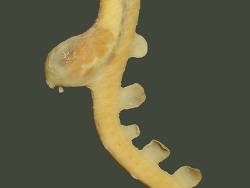 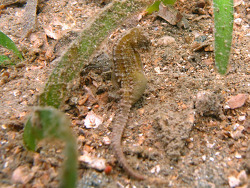 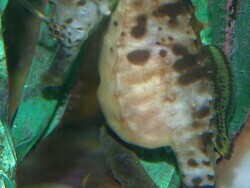 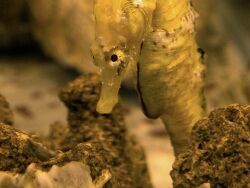 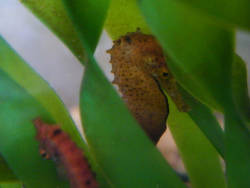 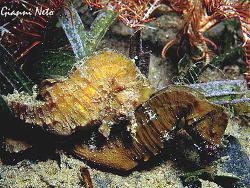 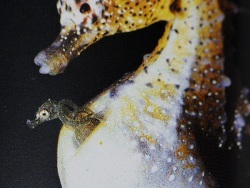 The male seahorse carries the eggs in a brood pouch where they are fertilized and incubated until they hatch.